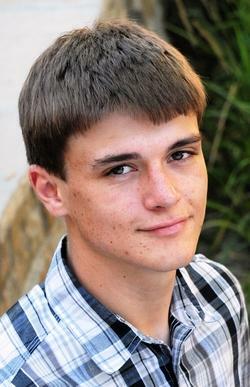 A celebration of life for Brady Gibson, 20, a sophomore at UCCS, was held May 24 at The Sanctuary in Fort Morgan, Colorado. He died May 17, 2018, due to cardiac arrest. Gibson was studying criminal justice and was active in the Christian Challenge student organization. He recently completed a mission trip to Texas to assist in flood relief efforts. Gibson was a 2016 graduate of Fort Morgan High School, where he was a member of the football and baseball teams. Brady Forrest Gibson, 20, passed away unexpectedly at home on May 17th, 2018, due to cardiac arrest. He was born October 28th, 1997, to Ron and Melanie Gibson in Fort Morgan, Colorado. Brady graduated from Fort Morgan High School, and had just successfully completed his Sophomore year of college at the University of Colorado Colorado Springs (UCCS) where he majored in Criminal Justice. Brady was active in sports throughout his life, participating in football and baseball up into high school. His parents enjoyed the many hours they spent on the sidelines cheering him on. Brady loved being a part of the team and considered his teammates family. He was an avid sports fan and especially loved the Denver Broncos and the Colorado Rockies. In college, Brady became very involved with Christian Challenge, an evangelical campus ministry. As his relationship with God deepened, his witness to friends and family grew. Brady’s daily walk with Jesus was integral and it showed in all of his relationships. He recently had completed a mission in Texas with his friends, showing God’s love by ministering to and restoring a flood-ravaged town. Brady is survived by his mother Melanie Gibson, his sister Terri Gibson, his aunts Adele (Chuck) Willson and Julie (Tom) Griffith, his grandparents Ancel and Gwen Lewis; his uncle Tom (Carole) Gibson; his cousins Julia (Dan) Leclear, Shaina (Darris) Linginfelter, Alyssa (Preston) Reichard, Krista (Scott) Harshman, Chad (Tiffany) Willson, Jenna (Michael) Kraft, Kayla Griffith and Nick Griffith; his nephews Jeremy Hundley and Jory Hundley; his nieces Taylor Rubeck and Elizabeth (Rick) Hessling. Brady was preceded in death by his father Ron Gibson, his aunt Andrea Lewis, and his grandparents Sherman and Velma (Brady) Gibson. A Celebration of Brady’s Life will be held at The Sanctuary (14587 US-34) in Fort Morgan, Colorado on May 24th at 10:30 AM with a viewing beginning at 9:00 AM. There will be an onsite reception following the service.